Brooks Williams was born in Statesboro, Georgia, USA (the town made famous by the classic song Statesboro Blues), and did his apprenticeship in the small bars and coffeehouses of New York and Boston, following in the footsteps of Chris Smither, Rory Block, Shawn Colvin, Maria Muldaur, David Bromberg and Leo Kottke, all whom he gigged with from time-to-time when he was starting out. The result of those early years is an unflagging career that goes from strength to strength. “Lucky Star,” Williams’ 28th solo recording, is already turning heads and making itself known on playlists throughout the world. The Second Line groove that runs throughout every track would make the late Allen Toussaint proud. Williams performs hundreds of solo and band shows throughout Europe, North America and the UK each year and regularly collaborates with an impressive list of fellow musicians, including Hans Theessink, Guy Davis, Sally Barker, Boo Hewerdine, Paul Jones, and Rab Noakes. Ranked in the Top 100 Acoustic Guitarists, he’s a mean finger-picker and a stunning slide guitarist. Plus, “he has a beautiful voice,” says AmericanaUK, “that you just melt into.” That voice earned Brooks a nomination for Best Male Vocalist by Spiral Earth, one of the UK’s most respected roots music publications. Brooks Williams has played all the major stages, like The Birchmere in Virginia, The Guthrie Center in Massachusetts, The Tolbooth in Scotland, The Liverpool Philharmonic Hall in England, Meneer Frits in The Netherlands, Harvest Blues in Ireland, The Avalon Theater in Maryland, JazzLand in Austria, The Stables in England, and Blues Au Chateau in France. And he gets invited back. He’s played the Fairport Cropredy Festival, Newport Folk Festival, Kerrville Folk Festival, Costa del Folk, Shrewsbury Festival, Celtic Connections and the Glastonbury Festival. He’s recorded for labels as diverse as Signature Sounds, Green Linnet Records, Reveal Records, Solid Air Records, as well as his own Red Guitar Blue Music. He’s learned the studio trade first-hand working with roots music producers like Colin Linden (Blackie And The Rodeo Kings, Bruce Cockburn) in Toronto and Phil Madeira (Buddy and Julie Miller, Emmylou Harris) in Nashville. His instructional guitar workshops frequently sell out, and his teaching is in demand at music camps and colleges around the world. 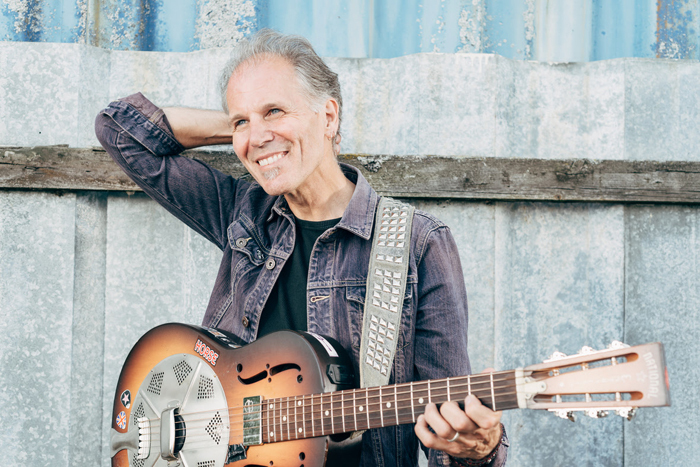 His music has featured on the BBC (UK), RTE (Ireland), CBC (Canada), NPR (USA) and Sirius XM (USA), and he’s charted on the FOLKDJ chart, EuroAmericana chart and Blues Lists around the world. WUMB-FM in Boston (USA) voted him one of their Top 100 Artists. Praised by Blues Matters, fRoots, Rolling Stone, the Boston Globe and Mojo, Williams is at the top of his game. His tour schedule has never been busier. He writes and records at an astonishing pace. He loves it, and that love exudes from every note.